Good afternoon, dear readers, and happy hump day! I'm not sure how it got to be Wednesday already, but the week certainly has flown by! 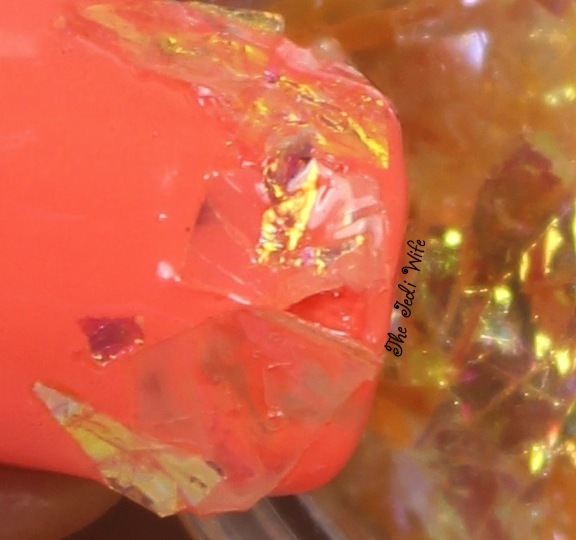 For today's blog post, I wanted to share with you some mylar flakes from Born Pretty Store. 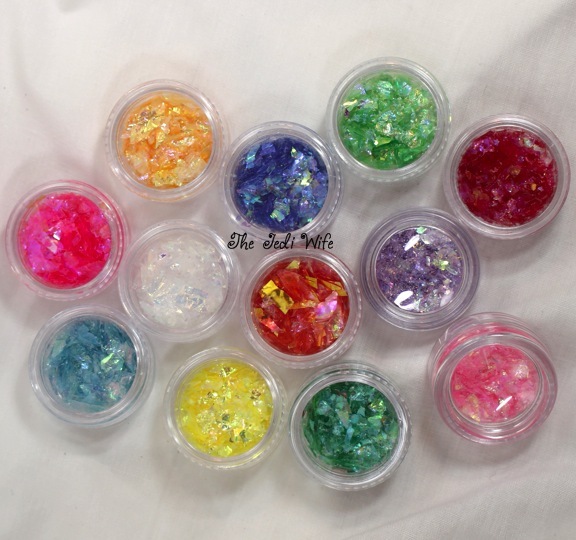 These mylar flakes come in a set of 12 colours, and each shade is on their own little screw-top pot. The pots are small at 3cm in diameter, slightly wider than a US quarter coin. They are not very deep, but they are packed with flakes. 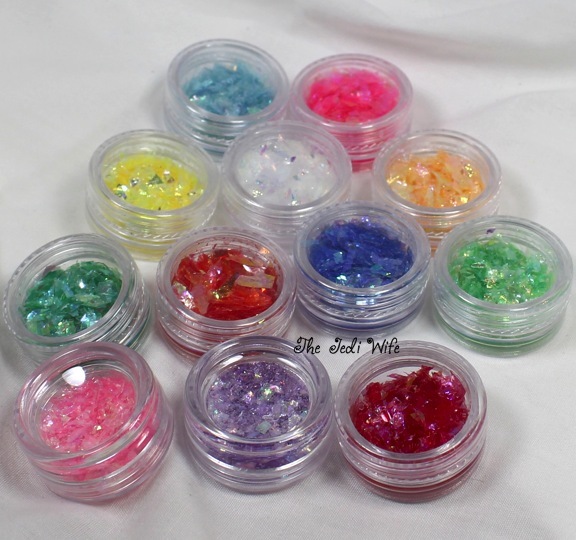 I wanted to use a few of the colours from these pots, and used a single colour on each nail. The first thing I noticed about the flakes is they are not the easiest to work with. I pulled each sheet out with tweezers to place on my nails, but they kept sticking to the tweezers. They would only come off when touched lightly against a wet nail, and once on the nail, they did not move easily. You can definitely work with them, but they do require a lot of patience. Some of the flakes were significantly thicker than others, and the thick sheets could not bend to conform to my nails. The thin sheets would bend, but they would not hold the shape. I used just using a quick dry top coat and would hold the sheets down gently with my tweezers for several seconds, but it clearly wasn't enough. They would probably work better using nail glue, but I prefer to avoid using the glue as much as possible. I topped my nails off after applying the sheets with two coats of top coat. The top coat was sufficient enough to add more security in keeping the sheets in place, but the tips of my nails were still very textured. I'm not sure that these nails were really "me", but I did enjoy getting to try out the sheets. 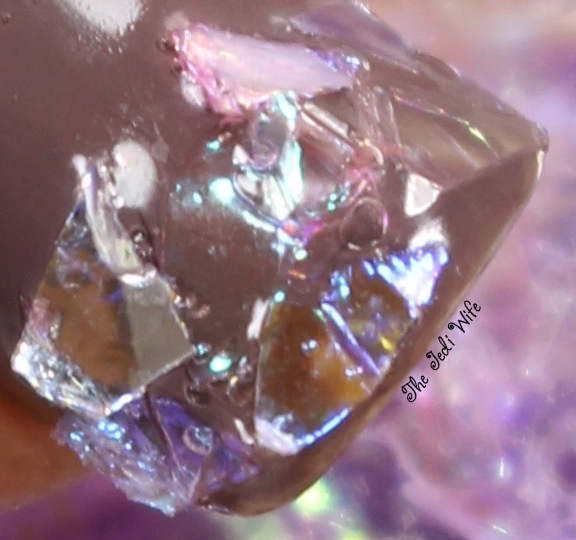 The iced mylar sheets can be found here. 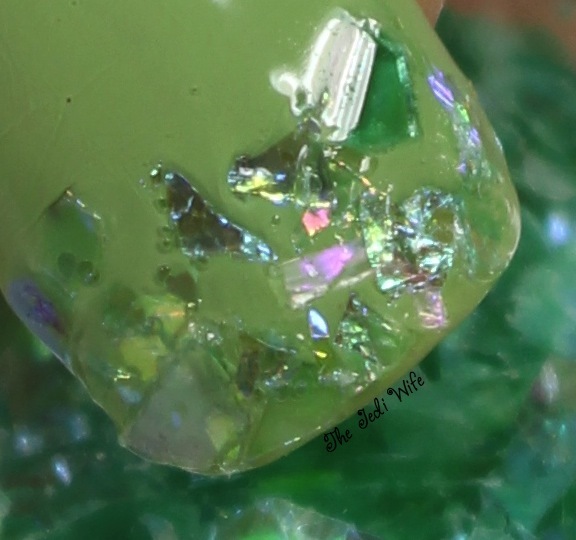 While you are shopping, check out Born Pretty Store for all your other nail art needs. They have a lot to choose from, and with the holidays coming up on us, you're going to want to stock up for fun holiday nail art. You can even save 10% off your purchase by using discount code QWL91! Have you tried these mylar sheets? I'd love feedback if you have, especially if you have application tips! Bummer that they were so hard to work with. They looked like you could do some fun nail art with them at first.